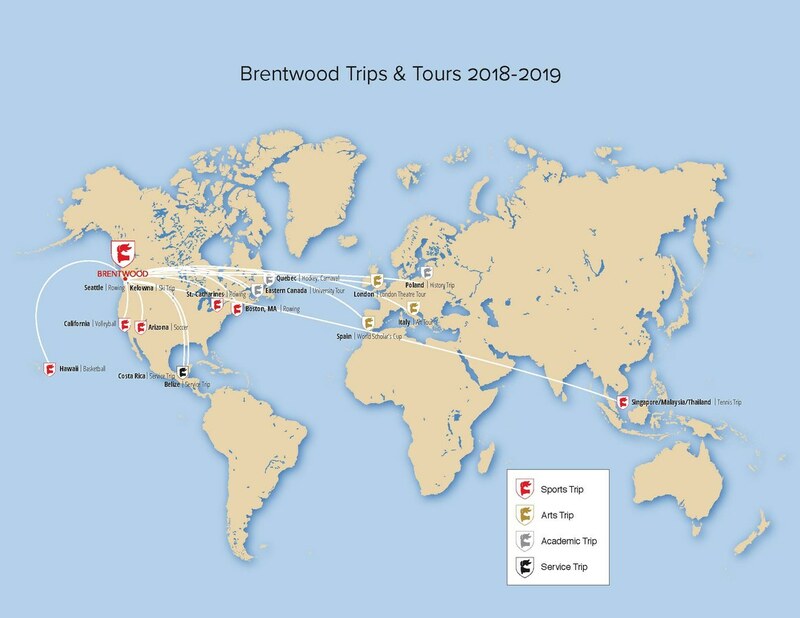 Brentwood has a long history of touring as a means of exposing our students to different cultures and experiences around the world. As part of our Mission, The Brentwood Family Opens Hearts And Minds For Life, touring is a vehicle by which we can engage students from varied backgrounds with circumstances they may not otherwise have the opportunity to experience. Over the years, the school has travelled to Europe, Australia, New Zealand, and throughout the Americas. We have consistently run athletic, academic, and arts tours as well as service tours as a way of expanding student horizons. We believe that these trips give our students the chance to learn outside the classroom, grow as leaders and global citizens. Last Spring Break our tours to New York, Nicaragua, California, and the UK gave over 100 students the chance to travel as ambassadors for their arts, their sports, their school, and their countries. At Brentwood, boarding students are assigned to a residential house and live with at least one roommate. Students are supported by their houseparents who provide mentoring, guidance, and supervision as part of our vibrant and holistic Boarding Life Initiative. This initiative also includes birthday celebrations, house events, outings, and activities. In addition, Grade 12 students work closely with houseparents to ensure that the younger students are included in house life. These initiatives help students learn to live in a community where mutual respect, cooperation, and hundreds of shoes piled up at the front door are key elements of their daily lives. Imagine yourself dressed in athletic gear, covered in paint, and screaming passionately at the top of your lungs. This is how we start every school year with the first of many inter-house activities: Fun and Games Night. Throughout the year students represent their houses in school-wide events, earning points and bragging rights. This friendly competition creates a lively campus environment and strengthens the student’s lifelong loyalty to their house. Many of our campus events are organized by our student-led groups which host dances, BBQs, open houses, and off-campus excursions. We also offer multi-day trips such as skiing and snowboarding at Mt. Washington and the BC interior; sports tours to Europe, USA and Australia; theatre tours to New York or London; and musical tours to various locations. Here on the west coast of British Columbia, winter is synonymous with sports such as skiing and snowboarding. Brentwood is able to provide students with many opportunities to take full advantage of our province’s world renowned winter sport destinations. From weekly excursions up to Mt. Washington Alpine Resort, to our full-school ski day and mid-term trip to Silver Star Mountain Resort for International Students there are many chances for students to experience the joys of winter in BC. These trips occur most Sundays during the ski season (usually eight trips during the second term). They include a full day on the mountain with the option of downhill skiing, snowboarding, cross-country skiing or tubing. Lessons and equipment rentals are available. This event occurs on a Wednesday in late January or early February and the full school community is invited to attend a day on the mountain. This trip is optional, however most students choose to participate. Many international students who are unable to travel home during the February mid-term break sign up for this ski trip. This trip is to the pristine Interior of BC to experience one of the province’s best ski resorts. This includes 5+ full days of skiing and or snowboarding. There is also the opportunity for ice skating, tubing, snowshoeing, cross-country skiing and evening activities such as sleigh rides, talent shows, movies and fireworks.